How Will You Connect with the Rising Number of Attendees in 2014? According to The Center for Exhibition Industry Research (CEIR) attendance for trade shows is expected to rise to an all time high over the next two years. 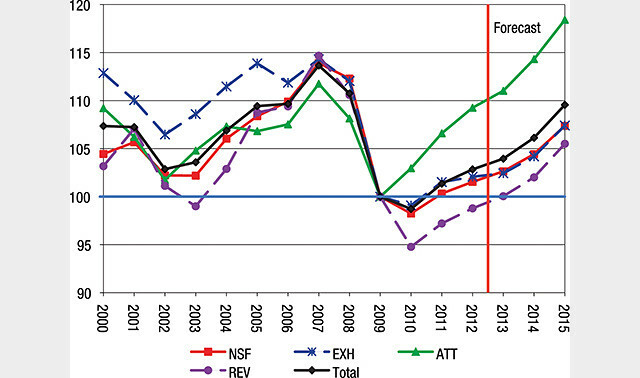 The chart above is CEIR’s index of several important factors metrics: exhibiting companies (EXH), attendance (ATT), gross revenue (REV), net square feet (NSF). Click on the image to see the information more clearly. The green line represents the growing number of people expected in attendance at trade shows over the next two years. Notice the huge increase since attendance bottomed out in 2008/2009. This is great news for those anticipating the benefits and ROI of their 2014 trade show participation. The list provides information about the event, location, dates and contact information. Once you have determined the trade shows you will participate in, it may be time to reassess the quality of your exhibit. With the increased attendance overall, this is your opportunity to ensure that your target customers visit your booth. E&E Exhibit Solutions specializes in partnering with our customers to select the perfect exhibit components to meet your needs. Consider contacting one of our trade show exhibit professionals to discuss your needs for the coming year. 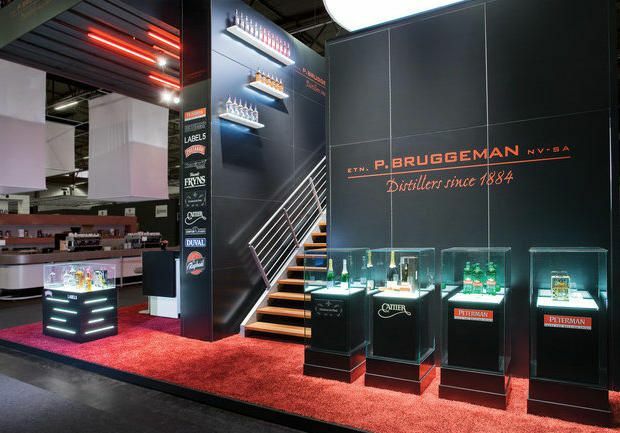 We can help you assess your existing trade show exhibit designs and offer some options for updating, refreshing and/or expanding your existing booth. With more people than ever attending trade shows in the coming year, you will want to make sure that your booth captures your fair share (and more) of the traffic. How will you take advantage of the increase in attendance this year? Our trade show display consultants can help you create functional and affordable trade show displays. and graphics.